Patrick O’Connell also managed Barcelona and Real Betis, and is the only coach to guide the latter to a league title. Patrick O'Connell had some significant achievements during his career, but was gradually forgotten. A NEW DOCUMENTARY, ‘Don Patricio,’ attempts to provide the definitive story on the life of the elusive Patrick O’Connell. O’Connell, who grew up in Dublin, was a former Ireland and Manchester United captain, in addition to having stints at a number of other clubs. He subsequently managed Barcelona and Real Betis, enjoying considerable success as a coach. Yet by the end of his life, O’Connell was penniless and died on the streets of London in 1959, just 19 years after leaving Barcelona. Despite all he achieved in football, O’Connell lay buried in an unmarked grave for many years. In the documentary, director Michael Andersen follows a quartet of football fans (Fergus Dowd, Alan McLean, Simon Needham and Maureen O’Sullivan TD Dublin) who through their passion for the story have helped renew interest in O’Connell in recent years, ensuring his grave was restored and his legacy revived. 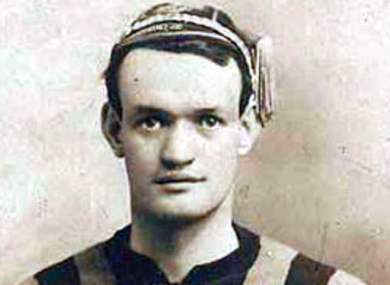 ‘Don Patricio’ is not the first time O’Connell’s story has been told on film — TG4 produced a documentary on this near-forgotten figure in 2014 — but with contributions from the likes of Ireland boss Martin O’Neill, former Manchester United goalkeeper Harry Gregg and Barcelona president Josep Maria Bartomeu, the latest work provides a fresh look into this incredible tale and is filled with new insights. When did you first come across Patrick O’Connell? I’ve lived in Spain many years. I’m very interested in civil war and also football. So about three years ago, I saw a tweet about Fergus Dowd and the campaign for O’Connell and the fact that he’d lived all these years in Spain. And that he worked for Barcelona and Man United, which is my favourite club. I thought ‘this can’t be true’. I called Fergus Dowd and two and a half hours later, I got off the phone. I decided I needed to do a documentary about Patrick O’Connell and not just about O’Connell, but about the campaign to resurrect him and have him respected. What were the challenges of bringing this story to film? Normally, I do most of my documentaries on lack of democracy, Georgia massacres, disrespect for human rights, people in prison and that sort of thing. This is the first time I’d done anything about football to be honest, so the main challenge was that the main character has been long dead. So we spent a lot of time trying to dig out facts and indications of what kind of personality he was. I knew from the get go that we didn’t want to do a football film as such. The only video — it’s 10 seconds — that exists of O’Connell, we actually managed to find in the archives. There was precious little information on him as a personality, so that was a challenge — to see how we actually put it together. Without that, we don’t have much of a documentary, if we want to do a biopic. The two-hour-10-minute film has turned out, in many ways, to be a biopic of him, of his time, the places he worked and the campaign to [create awareness of him]. To try to find out what kind of person he was, we tried to look up his family background, go to every single place he’s been to, training and playing, and try to find out small pieces of information, remarks by people made in diaries left behind and stuff like that. I think by now, we have a good idea of what kind of person he was. When you look at the pictures of him, it’s evident immediately that he was a tough guy. Several of the older players we talked to say he was probably a Brian Clough-type guy, or like Alex Ferguson — taking no prisoners, no messing. He was also on the far left of politics. What surprised you during the research of this project? The fact that he lived during the Spanish Civil War in Barcelona and also in the absolute worst period of [the Spanish general and military dictator Francisco] Franco — just after Franco came to power, O’Connell returned to Spain to take over at Real Betis. I live in Spain, so I know a bit about the history of the country, but when we started digging down into the details of the situation that O’Connell found himself in, it’s such a striking thing. He returned to the civil war in Spain in the middle of the civil war. He’d lost basically all his players. He returned from this famous trip to Mexico with five players, the Barcelona office was bombed, and he still stayed in the town and educated new footballers. Basically, he rebuilt his Barcelona team from scratch with huge success. Two years later, he goes back to Real Betis, the club where he won the Championship five years earlier. In 1940, he returns to Sevilla [the place as opposed to the football club, who he also later managed]. He literally arrived to Sevilla the same week that Franco came back to celebrate the fact that his regime was five years old and had complete and total control. The best indication is that O’Connell’s Real Betis had to play a cup match and Franco has changed the rules of football, so now the players had to give the fascist salute and the cup tournament was named after Franco. And then when I talked to a lot of old people in Sevilla, it got quite crazy, because it turned out when O’Connell returned in 1940, Betis had a new beautiful stadium — the stadium where they play now — and I would say maybe 400m away, Franco had built a concentration camp. Betis is a working class club and Franco went for the working class, which is where he met the most resistance during the civil war. So people that O’Connell would have known, young players, maybe people working in the club, but certainly people he would have known in their dozens, would have been sitting 400m away from the training ground in a concentration camp. Looking at it in 2018, that’s difficult to imagine, a [La Liga] coach working under those conditions. O’Connell was a complex figure who is not always easy to empathise with. He was incredibly brave on the one hand, helping Barcelona immensely during the war, but also leaving behind a wife and children in Ireland, and essentially disowning them. Tell us about that. O'Connell pictured far right in the back row, with the Ireland team in 1914. I suppose [that's true], but who wants to watch a film about a saint? And he certainly wasn’t. He was a fighter and a guy who took a chance when he saw one for himself. And yes, completely despicably, he left behind his wife and four kids. They literally did not hear from him in 30 years, it’s absolutely terrible. He got himself a new wife in Spain with the same name and the same looks as his first wife, also an Irishwoman, who worked for the King of Spain. He married her, bigamously. The new wife was a very devout Catholic and from what we gather, he told her he was a widower, told a sad story about the family back in Ireland and that’s why he [claimed that he] left. And for 30 years, she had no clue that he dumped another family back in Ireland. Towards the end of their marriage, after 30 years, she found out and left him. He was probably already drinking quite heavily at that point and didn’t have much money. After she left him, the last five years of his life, where he returned to London, is a very sad period. I spent a week in London last year trying to find out about him. I went to all the local archives in Camden in London, read all the newspapers, and this was the good old days when there were lots of local newspapers and those newspapers would have headlines like ‘Woman falls off bike’ or ‘Child breaks window with his football’. There were five years worth of newspapers, I read through them all, and there was not one sign that the man who used to play for Man United and trained Barcelona lived in the neighbourhood. Not one single line. When he died, simply nobody knew. Obviously, the media was another situation back then, but I think also O’Connell made a conscious decision to hide away and make sure that nobody saw him. He would have been 65 years old, which was quite old at that point, so my guess is that he would have been hiding away on purpose. The most terrible part of the whole story, I think, is that he came back to London, he lived in his brother’s boarding house in Camden, but his family in Manchester did not know he had returned. We interviewed his grandchild, Michael O’Connell, who’s in his 80s now, and he went to university in those years, when his grandfather had returned from Spain. But he never knew he had returned — that’s a heartbreaking story. O’Connell couldn’t even be bothered to re-establish relations with his family 30 years later. Somebody asked me at one of the premieres: ‘If he showed up tomorrow, do you think he would like him?’ I think, on a personal level, I probably wouldn’t. But again, it’s also dangerous. It was almost 100 years ago he did these things to his family and of course, back then, norms and morals were in some ways different. There was a very different way in how a man could allow himself to behave in a marriage. We know there was a lot of womanising going on and stuff like this and of course, our views of those kind of things now has changed. I’m not defending it, but he was probably not in a small minority back in Ireland 100 years ago. He was probably not the only one who had extramarital affairs. Why do you think he was forgotten and left lying in an unmarked grave for so long? In 2018, it’s impossible to imagine. We know these stories about [footballers who struggle after retirement such as] Paul Gascoigne and Kenny Sansom, these terrible tales flying around the internet, so today O’Connell would have been all over the internet. In the film, I actually spent quite a lot of time trying to find some people who were professional footballers already in the mid-50s. We talked to Mike Summerbee, ex-Man City and Harry Gregg, who was from Man United. I went to them and said, ‘look guys, in the mid-1950s, you were already professionals’. And Harry Gregg is not only a former Manchester United player, but he’s also Irish, and interestingly enough, Harry Gregg is an outgoing character, but he’s also very much into football history. He already knew about Patrick O’Connell when he was a kid, because Harry Gregg went to the same club that O’Connell had played for, Belfast Celtic, and knew that O’Connell was one of the former stars. So Harry Gregg knew the name O’Connell, but like everybody, didn’t know where he had disappeared to in the ’40s and ’50s. So he said to me if anybody had said a word about O’Connell, I would have known, because of my Irish background. And when you see the film, you can see that Harry Gregg is a huge 85-year-old former goalkeeper and he’s very emotional when he talks about it. Of course, he also compared it to George Best and these things can happen, people can slip through the net. People say to me: ‘How is this possible? There’s got to be a negative reason.’ I think he was hiding away himself, O’Connell, and some people say that Man United didn’t want anything to do with him because of this bribery scandal [he was involved in a suspicious result against Liverpool in 1915]. So that could be the reason why Manchester United wanted to wash their hands of him, it’s one of the riddles of this whole thing, how a man of that stature could just disappear. What’s very interesting, though, is that he never disappeared in Spain. There’s no obituary written about O’Connell in Irish or British media, it doesn’t exist. But the very afternoon he had died, it was in the Spanish news, and that’s very strange. If you go to Betis today, he’s revered. People know him. Of course, he was the manager when they won their only championship so far, so of course, they would remember him. But it’s striking that an Irishman is famous and remembered to a certain extent in Spain, but not in Ireland, or England. He’s been referred to in the past as ‘the man who saved Barcelona’. Is this claim accurate or an exaggeration? Patrick O'Connell managed Barcelona and Real Betis among others. Yes and no. It’s an exaggeration to say that Patrick O’Connell alone saved Barcelona — he did not. But the trip he was leading, he was manager, and it is true that that trip saved Barcelona. It saved the lives of some of the players and it saved them financially. The money they got from that tour of Mexico and the US, where they were for four months, that money Barcelona survived on for quite a few years. Franco won the war and Franco blocked all their bank accounts, so from that tour, Barcelona put all their money in a bank account in France and drew on that, and survived that way. So Patrick O’Connell didn’t save Barcelona, but the trip he was leading certainly did. No doubt, he was the leader of that tour, and without him, I doubt it would have taken place. Back then, the Barca crew was only 16 players — O’Connell, one assistant, one masseur and one director. So there are four guys to take care of the team. The masseur who was on the team, we interviewed his son, who also for many years was a masseur of Barca in that period, and he said his dad had told him many times that O’Connell did everything on that tour, he booked the trip, booked the tour, booked the hotel, booked the food, he was playing waiter at the same time as training the goalkeepers. He played a very important role in getting that tour implemented, not just being the manager, but also at a very practical level. And of course, you could also say that that tour would not have happened if O’Connell didn’t want it to happen. Fergus Dowd and his colleagues have been key in creating awareness of O’Connell. Tell us about the work they did to resurrect his story. They’ve done a magnificent job. Fergus, Alan, Simon and Maureen, the enthusiasm they have shown and the respect for the story is overwhelming and without that, I wouldn’t have a film. They got it going. Of course, we undertook loads of research ourselves, but they clearly started this whole thing. I think we interviewed about 100 people for the film and they showed the same enthusiasm for this man’s history and the resurrection and respect for O’Connell. For me, that’s almost the most interesting thing about this whole film and this project — people write and talk about football, and it’s all ‘Messi and Ronaldo, 300 grand a week,’ but what is interesting is the media are missing a trick, because there is a huge interest in those kind of [under-the-radar] stories. We presented the film in Belfast and Dublin and there was a full house on both occasions, a couple of hundred people, lots of interest, lots of applause, lots of debate afterwards — it shows that there’s a huge interest in those kind of human, more personal stories. Probably by now, there’s a little bit of tiredness among people in looking at modern-day football. The football is great, but the people who play it come across as incredibly boring, because the PR people in the club don’t allow them to say anything. I have no impression of most of these famous players’ personalities. What is Messi or Ronaldo really like off camera? They’re never allowed say anything personal or interesting in an interview. And this is what draws people to a story like this one with O’Connell — here’s a man who had unbelievable success on the football field, but at the same time, we dig down into the personal story and it turns out that he’s like everybody else, he’s not a saint, he’s not that beautiful polished picture we have of most of these players, and I think that interests people. The shocking end he had to his life also interests people. As Fergus says in the film: ‘I’m an Irishman, and there’s an Irishman lying in an unmarked grave for 57 years, it’s shameful, we need to do something about it, it’s an unacceptable situation.’ And I think that grabs a lot of people. We have interviewed dozens and some of them very old people in their 80s and 90s, and of course, to them, it’s even more shocking that an old person could be completely forgotten. When he was walking around Camden with no money at all, begging in the streets and so on, those were the same weeks when Barcelona opened their beautiful Nou Camp stadium with incredible celebrations, and nobody thought about inviting the man who more or less saved the club 20 years earlier. I think Fergus, Alan, Simon and Maureen have done an absolutely wonderful job and new things keep coming out. The more people hear about the story, the more will come out as well and people will come out of the woodwork saying ‘we have a picture of him, we have a cap of his, my grandmother has a photo,’ or whatever. So it shows a real interest in this kind of human story and I have a hope that football clubs will start showing a bit more interest and respect to those kind of stories. He was really gripped by the story and he kept saying to me, whatever Sky tells us, whatever campaigns Sky run, football did not start in 1992. There are phenomenal players before that who should be respected and celebrated. For me, that’s a really important point. This is what I don’t understand with the clubs — you can do both. I don’t have a problem with pictures of Rooney and Messi and stuff, but why not have the other part as well? Why not have the interesting, more human exhibitions about all the players and former players. And there is a big difference. We’ve been to 10 of O’Connell’s former clubs and some have zero signs that he was ever at the club and others like Betis and Barcelona are more respectful. Some clubs are not very respectful. In the film, the campaign of Fergus and Alan has had a very good reception in Spain and in other places, such as Ireland. But for example, Manchester United have been completely uninterested, which for me, I’m a long-time Man United fan, so I’m very disappointed that United basically said ‘we’re not interested’. I don’t understand why. You could sell all the shirts you want, but why not respect the history of your club? Finally, if there’s one thing that people can take away from this film, what would it be? There are two things. Firstly, on a personal level, that O’Connell was a human being like everybody else with pluses and minuses. He did very gracious things and he did very ungenerous things, so he was a person, even though he was one of the best footballers in the world. The other thing I would like people to remember is that he was also a fighter. He had lots of ups and downs. He was a record signing for Manchester United in 1914. He was the most expensive player in the world at that point, and five years later, he couldn’t even make it at a third division team in Scotland [Dumbarton]. But then he went off and reinvented himself in Spain, and he became the most famous manager in Spain, even though he was fired a couple of times. So he had ups and downs, and he kept going. Despite the fact that he came from a relatively humble background, he still managed to make something of himself. But yes, it had costs to both himself and the people around him. In one sense, he was a normal human being with a very big talent for football. ‘Don Patricio’ will be shown at the Sugar Club in Dublin on 21 and 28 May. It will also be shown in Mexico, Spain and other countries in the coming months. More info here. Email “How a former Manchester United and Ireland captain died penniless”. Feedback on “How a former Manchester United and Ireland captain died penniless”.